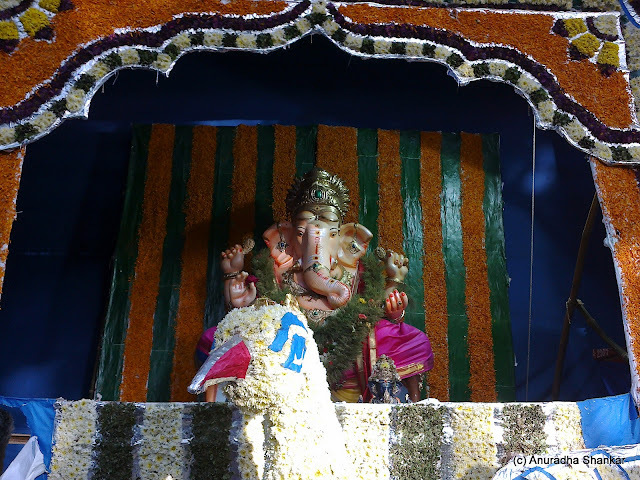 I remember a time when the Matunga Flower Market Ganesha used to be made of flowers. 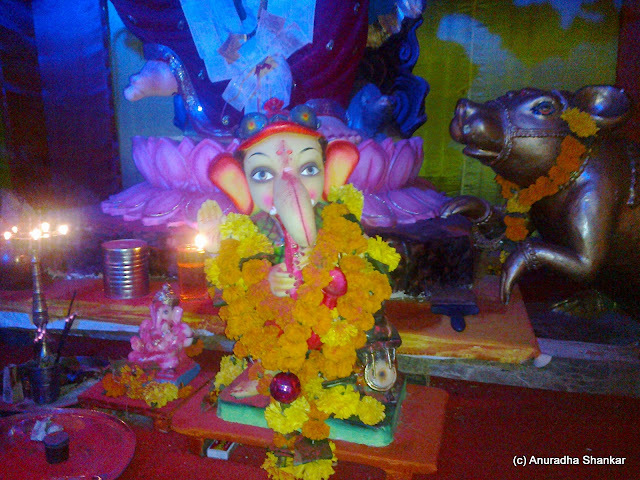 Today, the Ganesha is a normal one, but the decoration is still completely made with flowers. The arrangement is changed every 3 days, so you get to see 3 different arrangements. This is the first arrangement this year.. 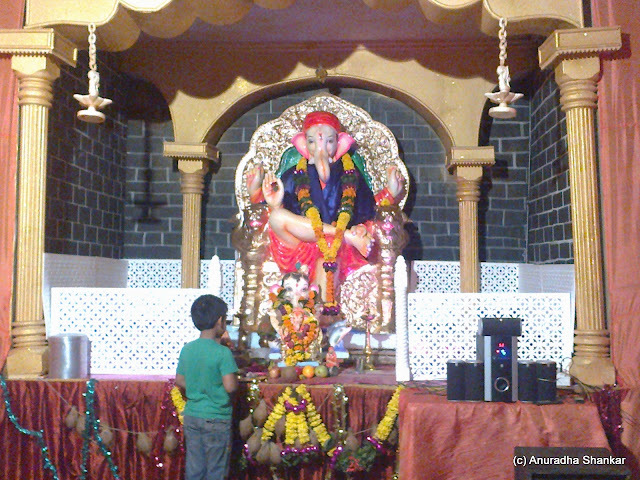 The Duke's Ganpati is all time favourite with Samhith. 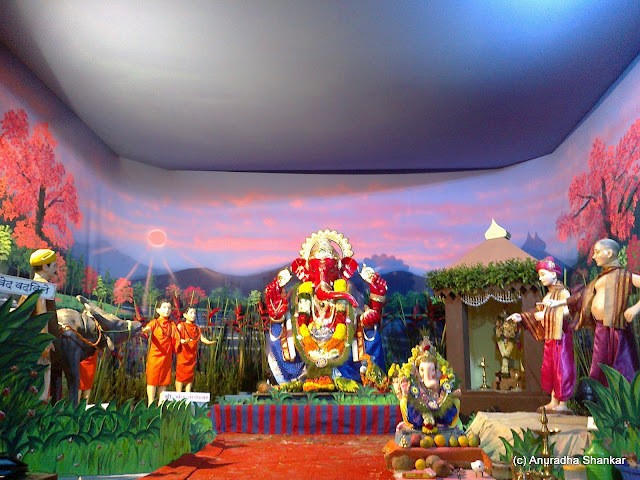 For one, they usually have scenes from mythology, and the props move around, which excites him. 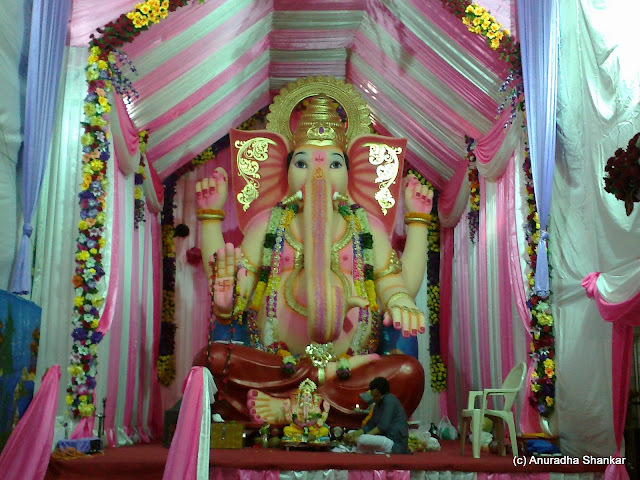 But even more that that is the fact that they always give poha (puffed rice) and sugar as prasad, which he loves!!!! So, how could we miss it? 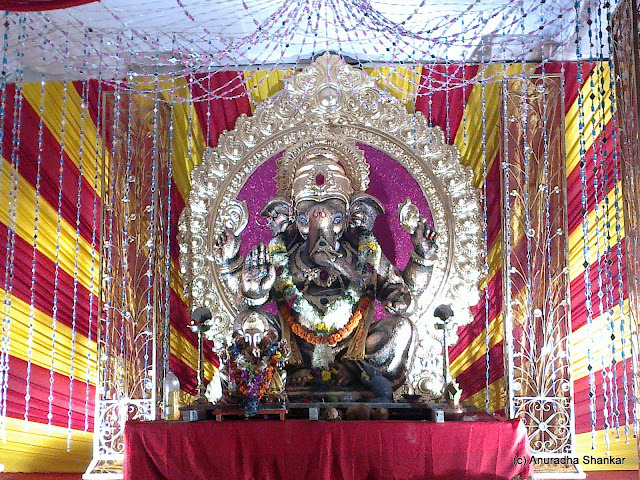 The R.K.Studios Ganpati is the same each year - not just the idol, but the decoration too..But for some odd reason, Samhith still doesnt want to skip it!! This is a favourite of mine.... 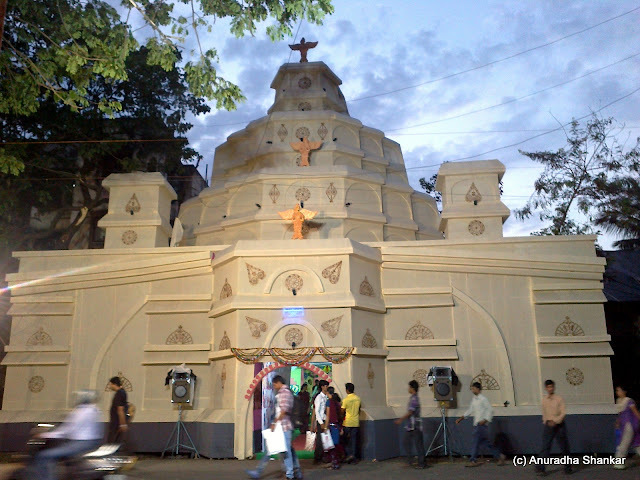 Located right next door to R.K.Studios, this pandal always has some interesting set up, usually a local story related to a saint. 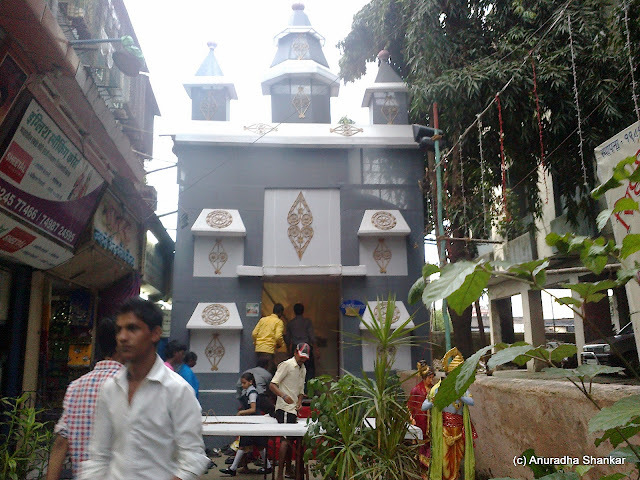 This year, it is Sant Dynaneshwar. I have been wanting to go and see this one for years now, and it only worked because a friend agreed to come along. Thanks Sita!!! 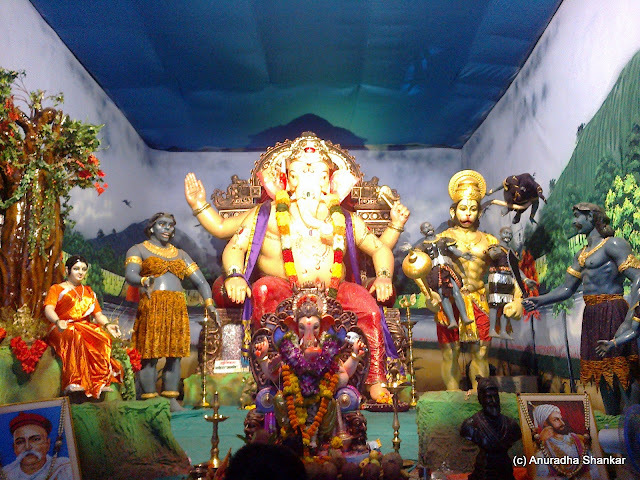 This is the Chemburcha Raja.. 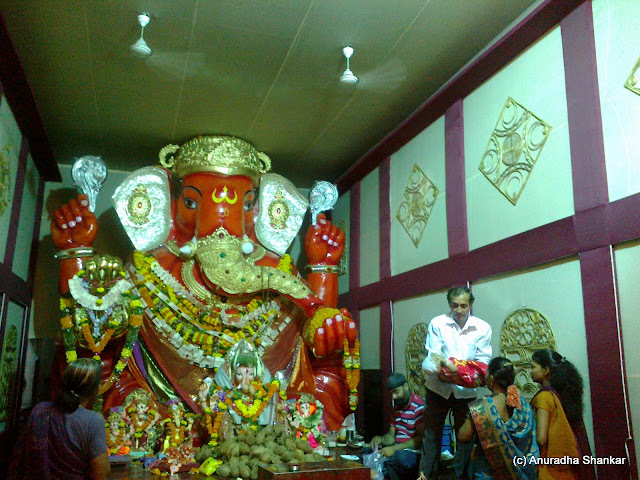 The Ganesha inside had nothing to do with Kanyakumari, though! 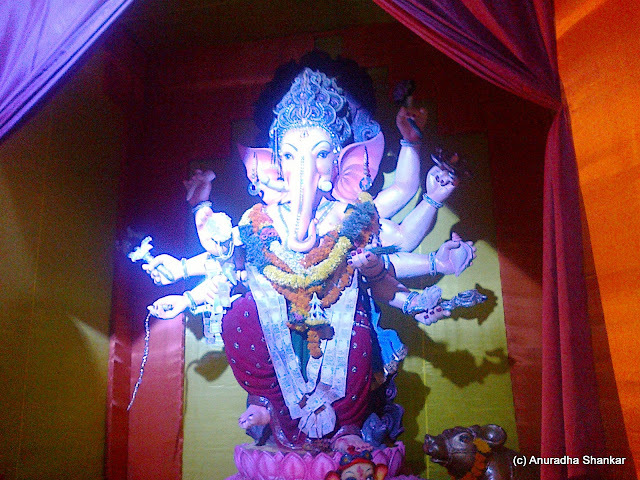 with a royal -looking Ganesha inside! 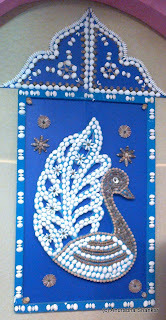 What we loved here was the decoration.. made entirely with shells!! 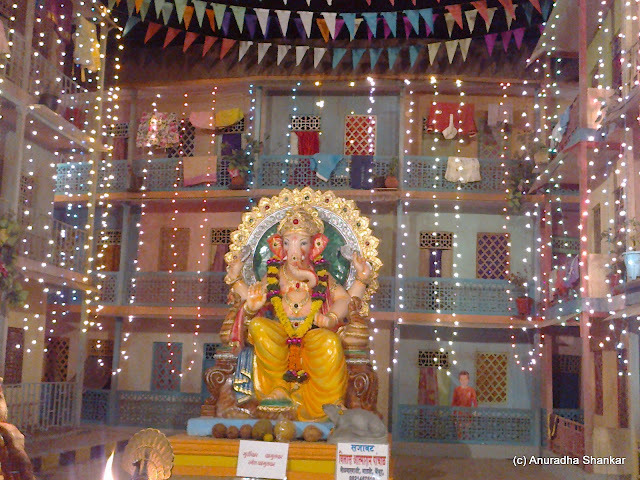 Recreating the chawls of Mumbai, where these Sarvajanik Ganeshas came into existence! 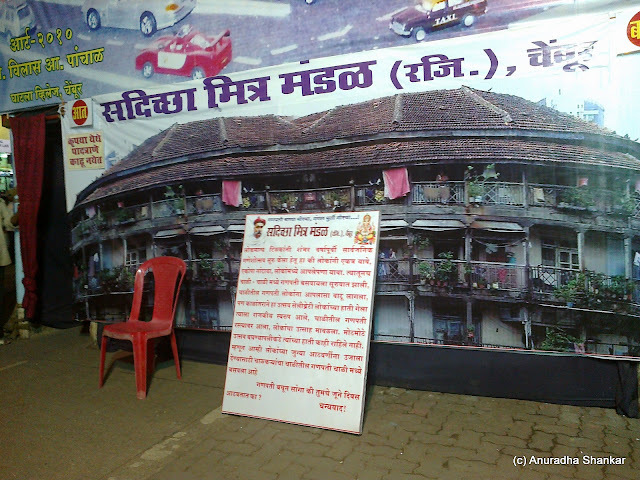 A board at the entrance explained how the concept of Sarvajanik or community celebrations of Ganeshotsavs began in the chawls of Mumbai, and how with popularity and fame, the Ganeshas moved from the chawls to the roads. 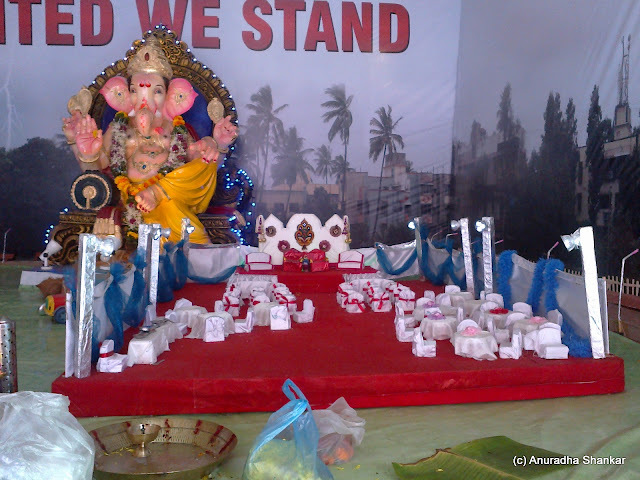 By recreating the chawls, they are trying to take the Ganesha back to where he came from. 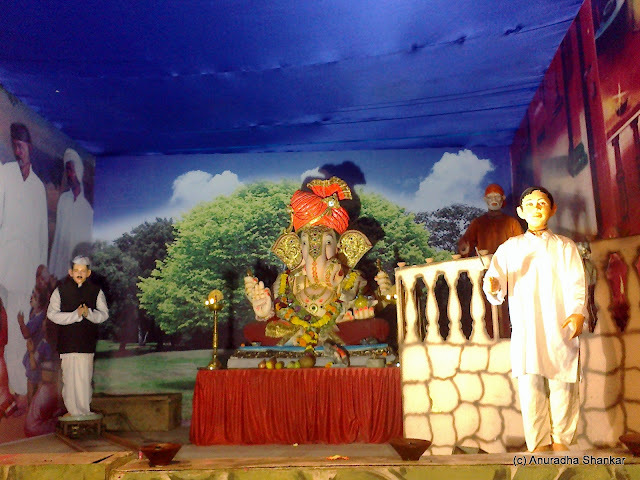 Ironically, this pandal is right on the main road leading from the Chembur station!!! 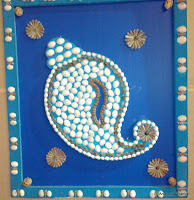 This year the theme is one related to the colony, and the decoration is rather simple. 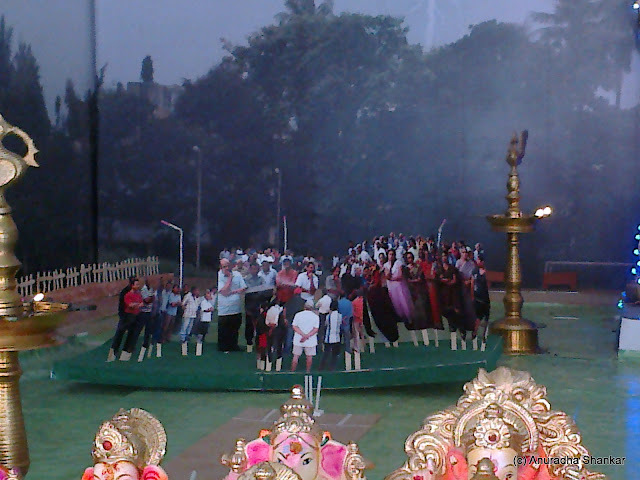 On one side is a pandal set up for a marriage reception and on the other is a group of people standing on a cricket ground. Confused about what it stands for? Here is the explanation - We are among the few areas in Mumbai blessed with a huge ground, and of late, it was being used for a number of commercial activities. Eventually, a few members got together, spoke up against it, and even managed to bring the rampant commercialization to an end. Today, we can enjoy seeing kids playing cricket on the ground, and not be bothered by loud and heavy music!! 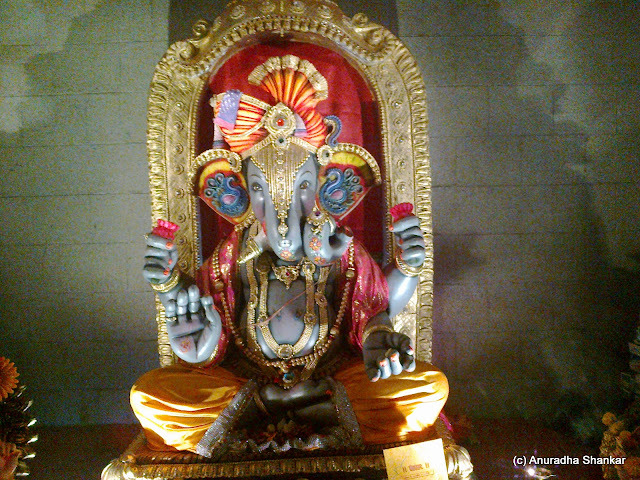 Using Ganeshas made of clay.. the reason is obvious! 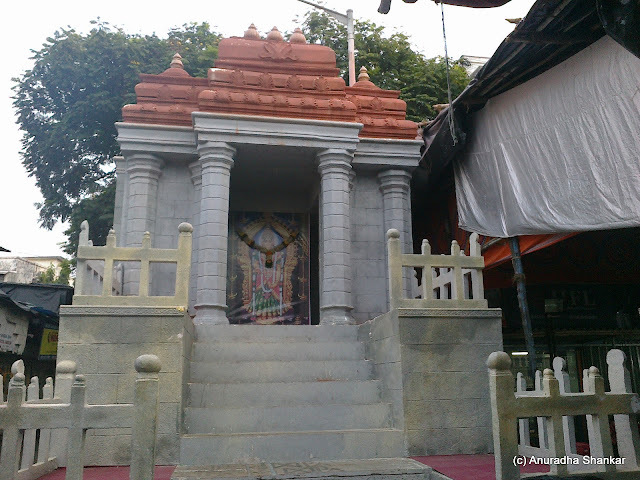 We dont really need to have two pandals right opposite each other, or right next to each other. The festival was begun to bring people together, not to compete with each other!!! 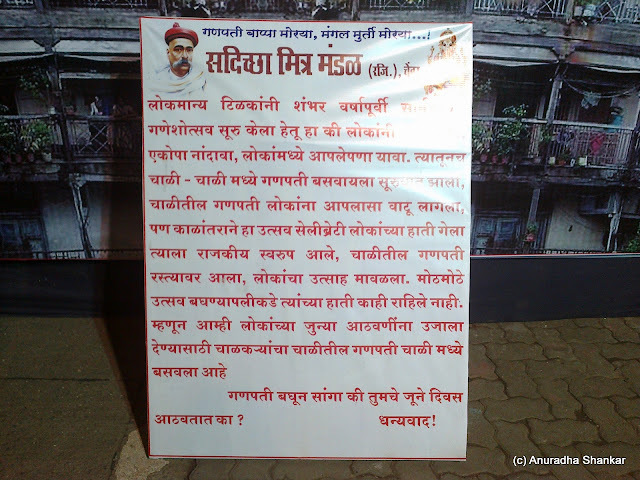 Why not try to join hands with our neighbours and enjoy the festival more? 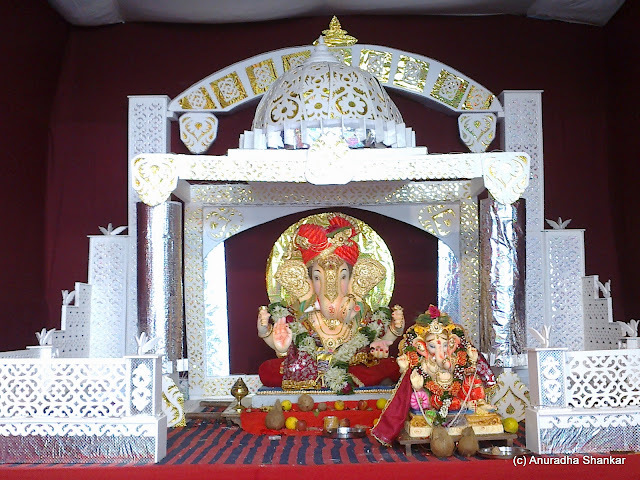 Do we really need to be reminded of the local politician or rich merchants every time we visit a pandal? 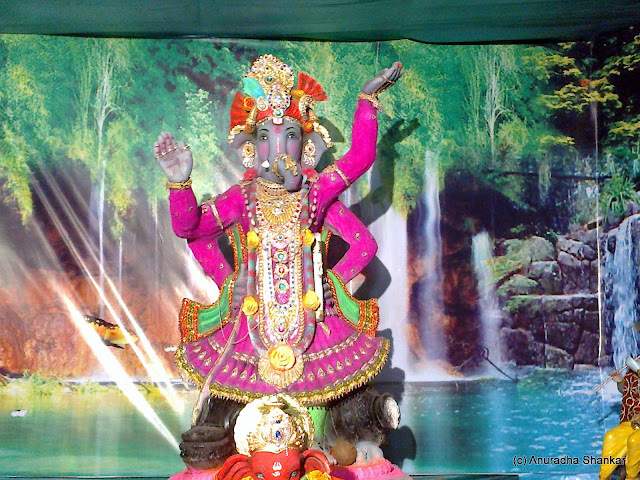 The Lord is said to cut down a person's ego, not bolster it!! These huge banners are such an eyesore! And finally, just think of the huge amount of money which goes into the celebrations. 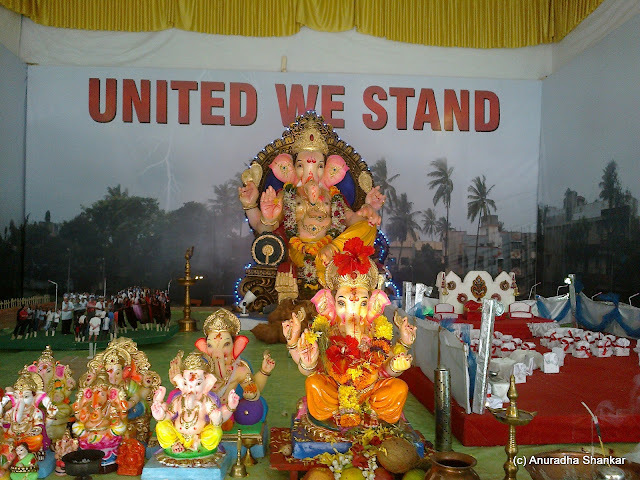 By joining hands, working together, and making the festival more efficient and devotional, we can cut down on the costs and use the money collected for such good purposes! This city of ours will be a much better place to live in!! Such colorful and vibrant pictures! Beautiful idols and well captured. 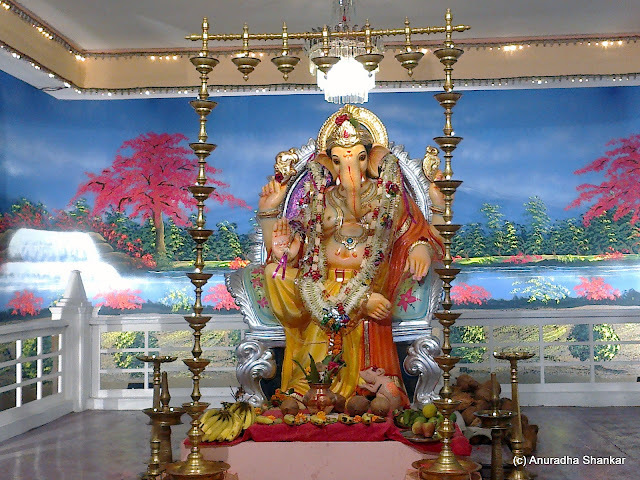 Reading about the Matunga ganeshas, brought back memories of visiting them as a child with either my grandmother or mother and aunts. 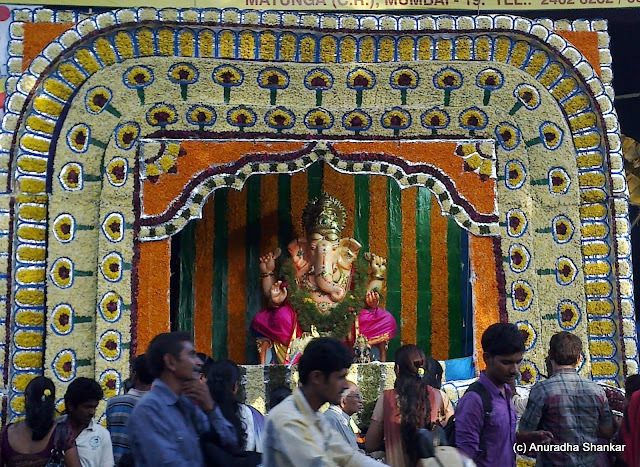 And I had totally forgotten about the flower decorations of the Matunga Flower market pillaiyar ! Thanks, Anu. Thanks Sudha! Glad you liked them! 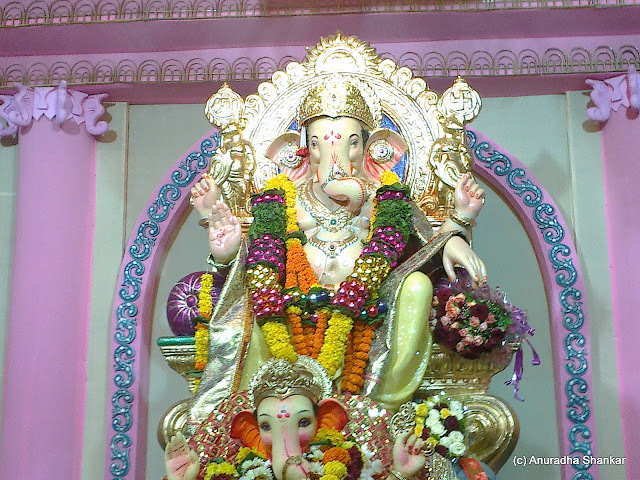 lets go see the Matunga ganpatis together next time.. what say? 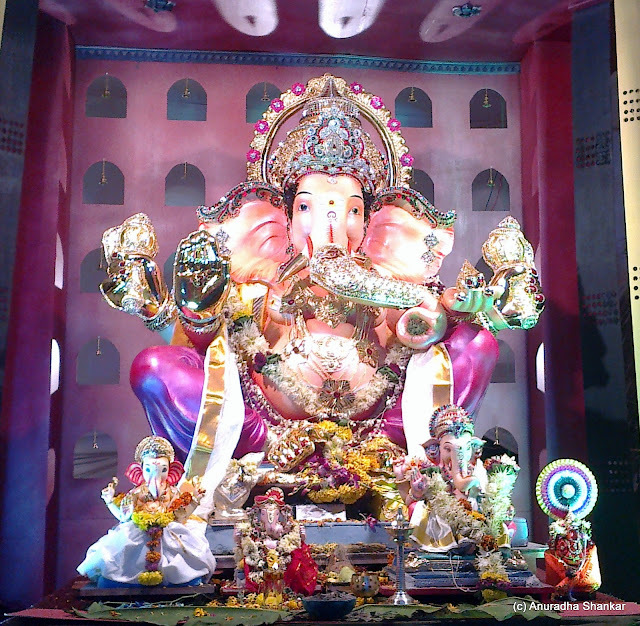 and chembur too, actually.... we passed by ur office when we visited the chembur cha raja..